A well thought 3-in-1 weekend package to visit the marvellous Rio de Janeiro City and the highest brazilian city,Campos do Jordão.You also visit the beautiful Nova Gokula(ISKCON temple),which is situated in one of the highest mountain ranges in Brazil. 3 Cities in 2 days. 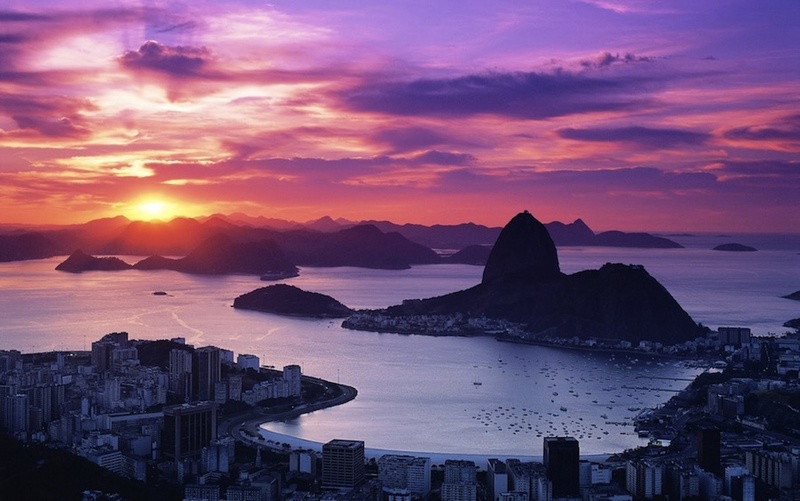 Perfect one day Rio de Janeiro city tour covering all the important must-visit places. Visit to Christ the redeemer statue by train. Fastest way to visit christ which helps you to spend ample time near the statue. Sunset in Sugar loaf mountain. One day trip to Campos do Jordao and Nova Gokula. Perfect itinerary to make the most of Campos do Jordao and Rio de Janeiro in a weekend with cost effective tour. Accompanied with English,Hindi,South Indian Languages and Portuguese Speaking Guide. Pico do Itapeva: It is the highest point in the Sao Paulo state. This peak has a view to 7 different cities in Sao Paulo state.It is situated around 35 km from Campos do Jordao city through scenic roads. Estimated time to reach here is 10 am and will spend around 1 hour here. Itapeva lake: A beautiful blue lake which is around 2000m high and its near to the itapeva peak. A perfect destination to enjoy the beauty of nature.We will spend around 30 mins here. Morro de elefante(mountain view of campos city): It's the most visited place in Campos do Jordao city. This place offers you the entire campos city view. There are two ways to reach this spot, by car or by cable car. IndiZil tours suggest your visit by the cable car for a better experience. The cable car entrance fee is part of the package. There is a small elephant museum which is near to the peak. We will spend 1 hour at this place. Krishna Temple visit: One of the few places in Brazil where you see Brazilians practicing Hindu religion.Situated in one of the beautiful valley of Pindamonhangaba,this peaceful place offers you the Krishna temple visit that belongs to ISKCON.We will spend around one hour here.Pure vegetarian lunch available here. River trail: You get to walk through the trail of a small river which flows by the mountain. Christ the redeemer: You don't need a description about this place. 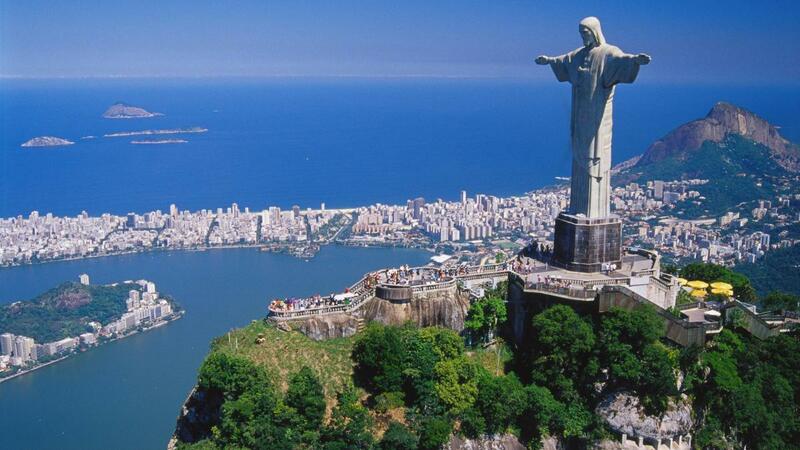 The statue listed as one of the seven wonder of the world which always comes to your mind when you think of Brazil. IndiZil tours make sure that you get enough time to spend here, and helps you to get perfect picture infront of this giant yet magnificient statue. In order to get more time we reach the top of Corcovado hilll by the trem which is the fastest way to reach. We will be one of the first group to reach so that there are less people near the christ statue which will help you to click better pictures. This spot also offers you an entire rio city view, beach view, and the very popular Maracana football stadium view. We will spend three hours here. 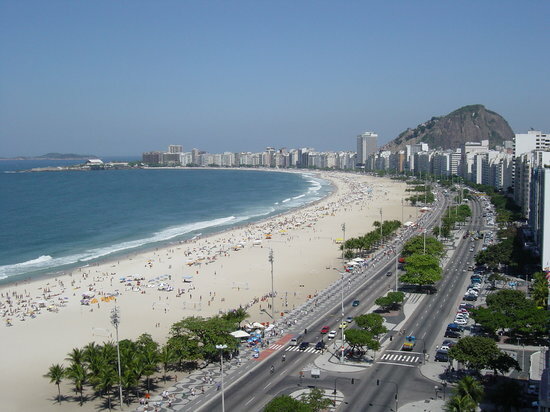 Copacabana Beach: Located at the Atlantic shore, it is one of the most famous beach in the world.It is 4km long beautiful mixture of land and sea. You will get a chance to enter into the atlantic ocean to feel it.We will spend one hour here. 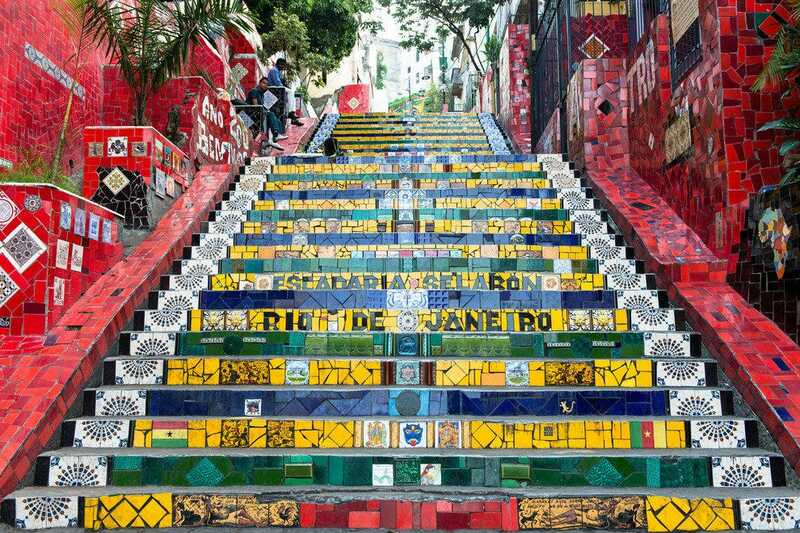 Selaron Steps: It is a set of world famous steps situated near Lapa. They are work of the chilean artist as a tribute to the brazilian people. There are 215 steps consists of 2000 tiles from 60 different countries. We will spend one hour here. Sugar Loaf mountain: It is a peak which presents a bird eyes view of Rio city from the mouth of Guanabara Bay. The ascent to the mountains is made through cable car and it has two stages. 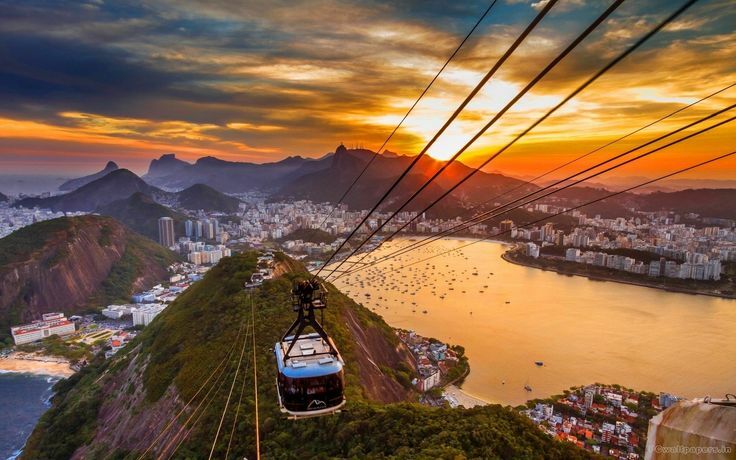 First to the top of the urca hill and then to the top of the sugar loaf mountain which presents the breathtaking view of 360 degree rio city. IndiZil tour plans to visit this place around 4-5 pm so that the visitors can enjoy both the daylight, sunset and the night view.We will spend three hours here.